Born and Raised in Palm Springs, California, "Supa" James has always had a curiosity and passion for music and entertainment. He began DJ'ing and spending time around his local radio station at the age of 15. He spread his talents out from Production on the local morning show, to every school event and private party he could get his hands on. From this day the ambition and growth has been non-stop, taking his talents to San Diego for a brief run at the age of 17 before landing in Las Vegas just after his 18th birthday. "This is where I learned the difference from being a DJ to a Entertainer, and Vegas is what made me the DJ I am today." He spent a brief time at KVEG/Hot 97.5 as a weekend mixer before taking a brief leave from radio to put all his focus into the nightlife scene. This break didn't last long as James rejoined the radio world with Royce International Broadcasting and now can not only be heard by over 1 million listeners daily, between 3 markets including San Francisco (KREV), Las Vegas (KFRH) and Palm Springs (KRCK) but where he programs 3 TOP-40 Stations. 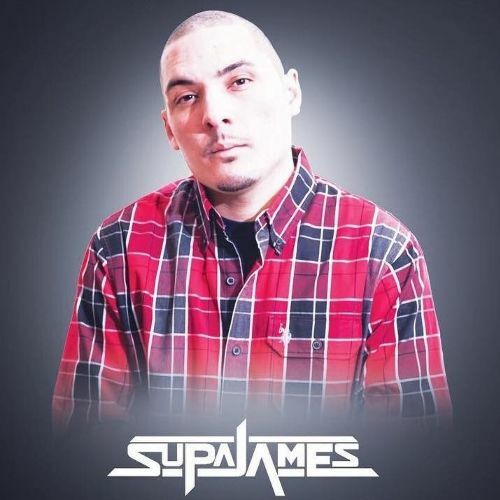 "SupaJames" has quickly become a household name in not only these markets but also an influential name in the music business, and familiar name in the club scene nation wide. From daily radio shows to nightly club gigs and moving into the production world James loves to entertain the masses and share his passion for music with as many people as possible. "Music is life, it can control anyone's mind and body. It doesn't matter if there's one person, or 10,000 people feeling my mix, that's all it takes to motivate me."